Are Australians Ready to Ax Mandatory Bike Helmets? Long known as one of only two nations in the world that mandate cycling helmets for every man, woman, and child, Australia may be on the cusp of ending its prohibition of helmet freedom. Without wading into the worn arguments about whether bike helmets themselves help or harm bikes as a movement, it’s important to note that mandating helmets absolutely discourages riding bikes in general. This was the case in Australia in the early 90s when cycling sans helmet was made a crime. Riding levels tanked after the law went into effect, and have struggled to recover despite the global rise of bikes as an increasingly preferred mode of urban transport. 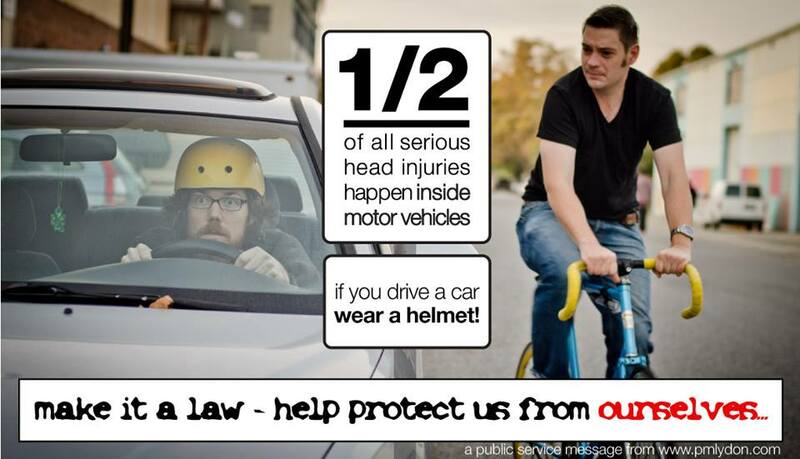 By all accounts, helmet laws are a disaster for cycling. “@abcnews: Residents of Australia’s tiniest towns share what happiness means for them pic.twitter.com/fZfNSz35UF” Helmet free cycling? What’s More Problematic: Bike Helmets, or Arguing About Bike Helmets? Having written about bicycle rebellion, tactical urbanism, and the Right to the City movement here on Rebel Metropolis for almost a year now, the one issue I’ve shied away from has been bicycle helmets. If you’re a regular reader here, you know I’m not reluctant to question prevailing logic concerning the burgeoning urban cycling movement. But the helmet thing can be such a distraction, can off-put so many, that delving into this snake-pit here at Rebel-M seemed perhaps ill-suited, at least via print. Some have rightfully moved past the helmet debate, others righteously continue entering the fray. To summarize the questions most often asked about bike helmets: Are helmets good for you? Sometimes, perhaps. Are bike helmets bad for you? Maybe. Are bike helmets a good defense against collisions with cars? Hell nope. Are helmets bad for cycling as a movement? Hell yes. Without spending vast volumes of words explaining my answers to these questions, (as you’re likely already familiar with some of them), it’s worth noting my POV on this scarcely matters. People can feel totally different about this and they’ll argue for hours and nobody budges. We can certainly agree that perpetuating the myth that “cycling is dangerous” scares would-be riders away from ditching the car and embracing the bike.